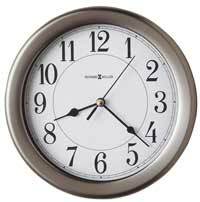 The Bulova C1515 Tamlen quartz chiming wall clock was inspired by the design of the popular Shelbourne grandfather clock. The oversized hardwood case is finished and a dark brown cherry with heavy distressing including wormhole accents and cuts. Closed bonnet design with a arge, heavily carved shell pattern is used at the top of this clock and matching scroll columns flank the front beside the glass panel on front. Metal dial with faux lunar design and raised numerals with corner spandrels. The formal pendulum is a lyre style and swings. 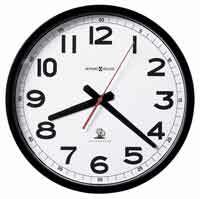 Size: Height: 36" Width: 16.7" Depth: 7.75"
Clocks for sale at The Clock Depot including the C1515-DS at discount prices.